Established in 1898 Hoad Shoes is situated in the heart of Sevenoaks in Kent providing footwear for all the family. We pride ourselves on excellent customer service, superb product knowledge and a vast range of products from fashion boots and shoes to extra wide fittings for swollen feet and orthotic insoles for foot problems. We have recently opened our online shop hoadshoes.co.uk selling a wide range of products such as Gabor, HB, Pedro Miralles, Dubarry and Timberland to name a few. We offer free postage on all online orders and a click and collect option if you are local to the area. My name is Beky and I started BekyLou in late September of this year; I’ve had an overwhelming response and it’s become such a hug part of my life. BekyLou is a beauty,fashion and lifestyle blog in which I share all of my beauty/fashion loves and lusts with you all, review products and also mix in some personal lifestyle posts such as ‘My Journey with Anxiety and Depression’, which has been my most viewed and most personal post to date. I’d love it if you could take a peep over via my links below and follow – I’m aiming for 300 bloglovin followers by the end of January! Dulcie’s Beauty Blog – A Beauty and Lifestyle blog where I share my beauty favourites and my reviews of products I’ve tried and products I’ve liked. Make-up is my thing, with nails as a close second. Created with inspiration from my beautiful friends, the blog features my make-up looks and outfits, nail polish favourites and skin care picks. A creative space, Dulcie’s Beauty Blog brings beauty products, style and fun together. Hey guys! I’m Bethany and I blog over at the very originally names bethanyworrall.com! I started my blog a few months a go as nobody was interested with my rambles, particularly fashion & beauty related! I blog about pretty much whatever takes my fancy, but as I’m not great at saving money I’ll always have a haul lined up! Lipsticks are my weakness, along with Essie nail polish! If you stop by, please leave a comment, or pop over to my twitter/Facebook/Instagram as I love a good old chat! 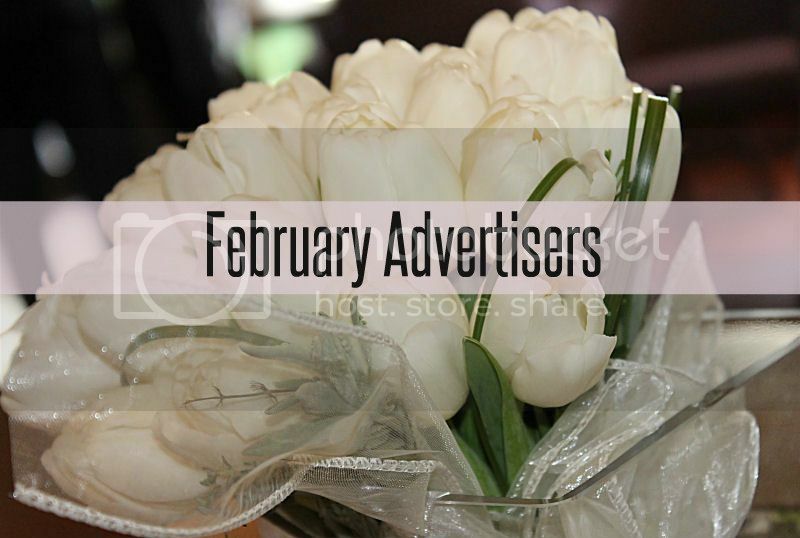 Thanks to Kimberley for letting me advertise her this month!! How are you today? My wee blog contains a bit of everything but beauty is my passion. I am getting married in June so expect a few post on that. As with a wedding coming up I’m on a fitness and weight loss kick ATM. I am currently running a series called inspirational people on Sunday to give us all a boost that dreams can come true! Hello, My name is Dee, I started blogging back in feb 2013 and I am very please with how far I have progressed with it. Dee’s Beautiful Life is a beauty and lifestyle blog. I love all aspects of beauty and have achieved NVQ level 2 and 3 in beauty therapy, I also have a spending addiction and love to share with you all my findings and the products I love. I do a Make-up Monday series, where every monday I post a make-up look for you all! Please check out all my links below and help me reach 500 Bloglovin followers. Satchels + Pearls is a lifestyle, beauty, fashion and motherhood blog by Michelle, a recently new mum to a baby boy and living a long distance relationship with her husband across the sea. On Satchels + Pearls you can find beauty reviews, DIY, recipes, all topped off with a quirky sense of fashion from a blogger with a buzz cut. Michelle has a passion for afternoon cake and tea, and will take you on adventures around West Yorkshire. So why not check out her blog and follow her life journey? As the name suggests, Bargainista Bride is about exploring options to save money on weddings – whether that be attending them or planning them. The blog chronicles the wedding planning journey of a couple in their mid-twenties living in Cambridgeshire (with a great Disney proposal story to boot! ), as well as offering resources to help others save. 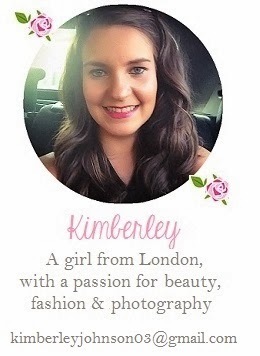 If you would like to advertise with Kimberley’s Beauty Blog the details can be found here. Love all these, thanks for sharing. i'm a new follower and love your blog.